Properly managing the human resources function is one of the biggest challenges for many Los Angeles and Southern California business owners and entrepreneurs. A business is only as strong as its employees: hiring the right employees and retaining them for the long term is one of the most important factors in the success of any business today. But hiring and retention are just the tip of the HR iceberg. The world of human resources today is more complicated than ever — and it’s constantly getting more complex as new HR regulations are regularly introduced. Non-compliance with the myriad federal and state HR regulations can be extremely costly and even lead to a business shutdown in a worst-case scenario. Understanding, managing and monitoring the costs, risks and processes associated with the HR function is essential to maintaining employee morale and operating a successful business. § Continued Affordable Care Act (ACA) reporting and coverage requirements. § California’s new paid sick leave law that became effective on July 1. § Recent NLRB rulings such as those regarding “joint employer” liability for companies using temp agency employees and unlawful firings. § Recent DOL determinations on unpaid interns. § Court rulings on help wanted ads being discriminatory. Unfortunately, many small and mid-sized firms ignore critical HR issues due to worries about the cost of compliance, a belief that they are small enough that regulations don’t apply to them or they won’t get caught if they don’t comply – or simple ignorance of the regulations. None of these excuses, however, will hold up if your firm is found to be in non-compliance with these and other HR regulations. 2. Employee training — This includes both initial training for new employees and ongoing training and education to ensure that employees have the skills they need to perform their jobs. 3. Employee benefits — It takes a comprehensive benefits package to attract and retain the best employees today. But benefits like a retirement plan, paid time off and health insurance in particular are expensive. Also, there are numerous regulations that must be followed when offering these benefits, such as ERISA regulations for retirement plans and ACA regulations for health insurance. 4. Employee safety — The Occupational Safety and Health Administration (OSHA) sets and enforces standards and laws that businesses must follow to help ensure the safety of employees while they’re working. Most private sector employers are subject to OSHA regulations. A quality safety program is required to keep your work place safe, control injuries and keep subsequent costs down. 5. Employee development — To maximize their potential and productivity, employees need to be properly developed and nurtured. This includes developing new leaders who will help ensure that your company is successful not just today, but in the future as well. 6. Risk Management — Along with property coverage, product and general liability, risk management applies to the HR function as well. Safety programs are an essential part, but so is compliance, which reduces lawsuits, penalties and fines. Some HR exposures can be insured against while others must simply be managed. Each of these six critical HR areas should be consistently measured and monitored, with the results reported to executive management on a regular basis. HR costs are typically one of the three highest expenses on most companies’ P&Ls. More importantly, non-compliance with HR regulations like those noted above can result in excessive costs and serious business disruptions, as well as damage to employee morale and profitability. One of the most efficient ways to measure, monitor and manage HR costs is to engage an outsourced CFO services firm to work directly with your HR department and/or legal counsel. 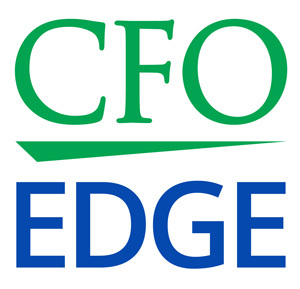 An outsourced CFO can help you identify the many costs associated with your HR. Once these costs are quantified, you can work together to measure and monitor them. This will lead to better planning, improved profitability, and less exposure to the dangers of employee turnover and non-compliance with HR laws and regulations. Properly managing the human resources function is one of the biggest challenges for many businesses today. The world of human resources today is more complicated than ever, and non-compliance with the myriad HR regulations that are on the books can be extremely costly. An outsourced CFO can help you identify the many costs associated with your HR and then measure and monitor them. This, in turn, will lead to better planning, improved profitability, and less exposure to the dangers of non-compliance with HR laws and regulations.